The weather has been too nice the past week not to start thinking about how spring is on the horizon, so we are exploring some 2018 spring wedding trend colours today! From invites to maids dresses picking a colour scheme for your Spring wedding should be fun and man are these colour schemes fun! 1. The watercolour theme really started to take off last year and is gaining even more momentum this year! 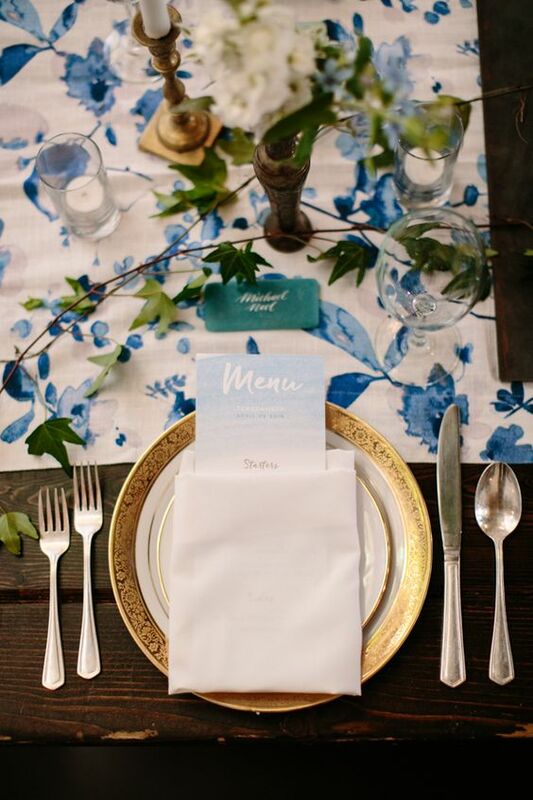 We love the soft tones, whimsical atmosphere, and romantic feel this palette adds to wedding days. This gives you the traditional option of any colour you want with a spin on the softness or deep tones. Both, equally as beautiful. 2. What says "Spring" more than some floral prints!! This trend is so fun and we can't wait to see how brides bring them into their wedding's this Spring. It can be such an easy way to give your decor some texture without spending $1,000's of dollars on flower arrangements. We love this idea of a floral print table cloth or runner to add vibrance to your table arrangements instead of spending all your energy on extravagant centrepieces. Going for a simple wedding gown but still want to add some kind of pop to it? Why not do it with your shoes!! These floral heels are SURE to go down in history! 3. Pastels are something that never go out of style and look great in the Spring and Summer. Pick one pastel colour and stick to it or go for a palette of pastels; each are beautiful and timeless! We adore the mismatch maid's dress trend and pastel's make it so easy to do this! How classy and beautiful are these maids dress colours? And we can't forget about your groom! Pastels look dapper on him too! Are you having a Spring wedding?! Drop us a comment with your colour palette! Recently engaged? CONGRATS!! Start off your wedding planning with some dress shopping! Book your one of a kind experience with us today.